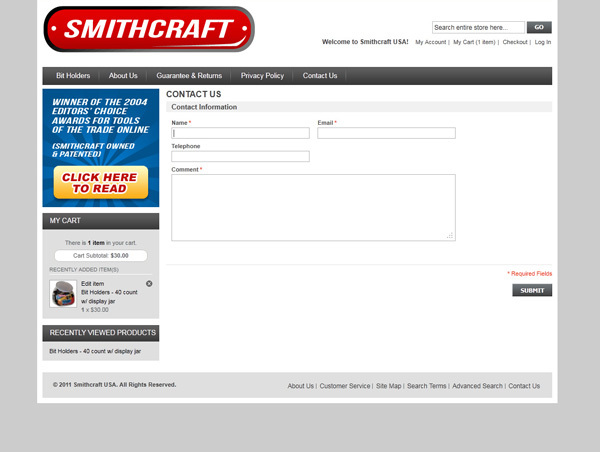 I designed and developed this site for Smithcraft USA. 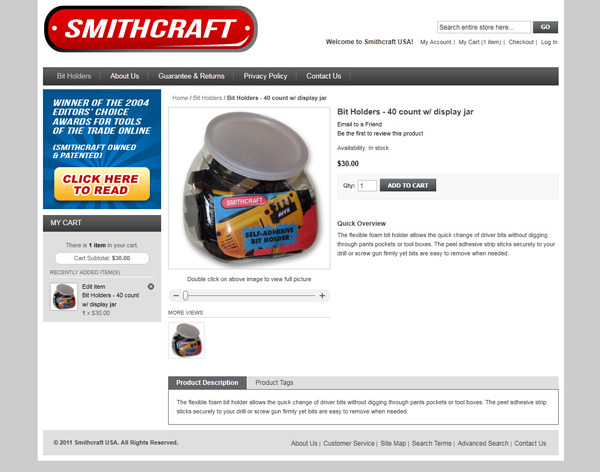 The owner is the inventor of an innovative drill bit holder (which he patented) and needed an e-commerce website where companies could buy his product in bulk. 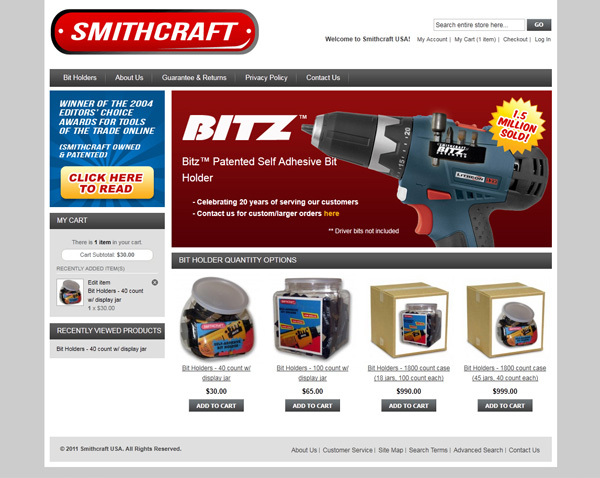 I built this site in the Magento e-commerce platform. I also updated the logo. All content © Copyright 2019 by Sarah Valadez.